What if you experience iPad locked or even iPad disabled after update to the latest iOS 12? You can try the default password if it’s locked. But if your iPad is disabled, you have no place to enter the password, you need to remove the disabled screen. No worries, you are not alone. Below 3 effective ways are introduced. Choose the suitable way and try. The most effective and easiest way to get into iPhone or iPad when it’s disabled after iOS 12 update is using an iPhone lock remover. It is no doubt that unlocking a passcode-protected iPad/iPhone is not an easy process. However, with the help of tricks and great unlocking tools like the iMyFone LockWiper, you can easily remove the lock without the need for a password. 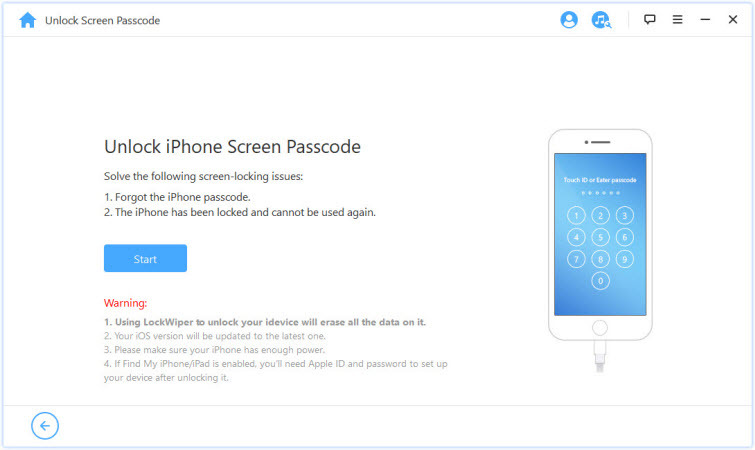 iMyFone LockWiper is a professional iPhone unlocking tool designed to remove any screen lock including the Apple ID/iCloud account, which has the Windows and Mac version. Also supports to remove Apple ID/iCloud account without password. It works incredibly well with the latest iOS 12 version as well as earlier versions. It has been proved to be the most effective unlocking tool by professional review sites, including SOFTPEDIA, download.hr, iOS HACKER, etc. Step 1: After downloading, installing and launching iMyFone LockWiper on your computer, click on the Start button on the interface of the program. 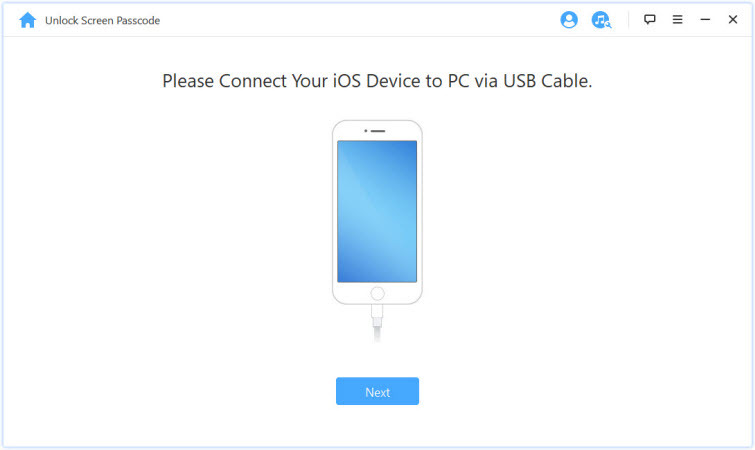 Step 2: Link your device to the computer using a USB cable and click Next. 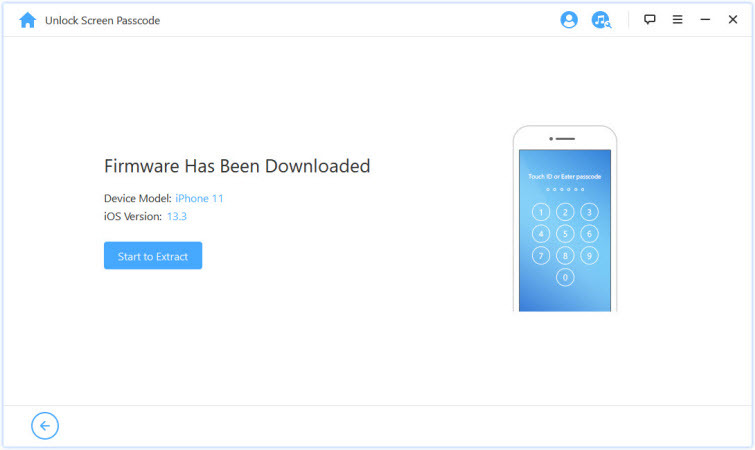 Step 3: The program will then display the model, the iOS version and the name of your device. 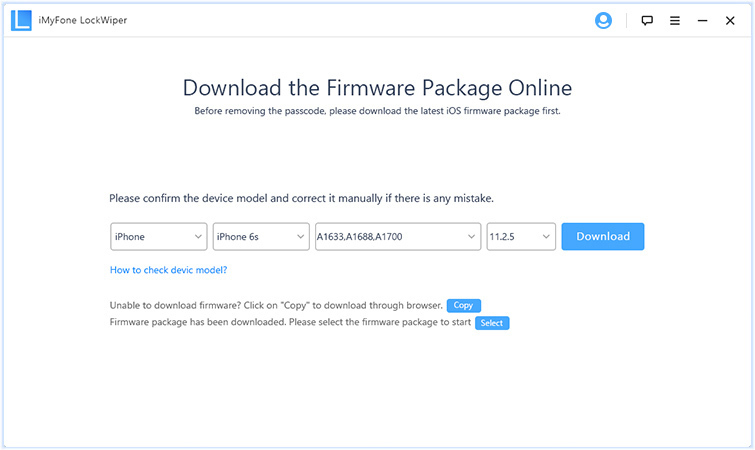 Then click on Download to download a specific firmware for your device. 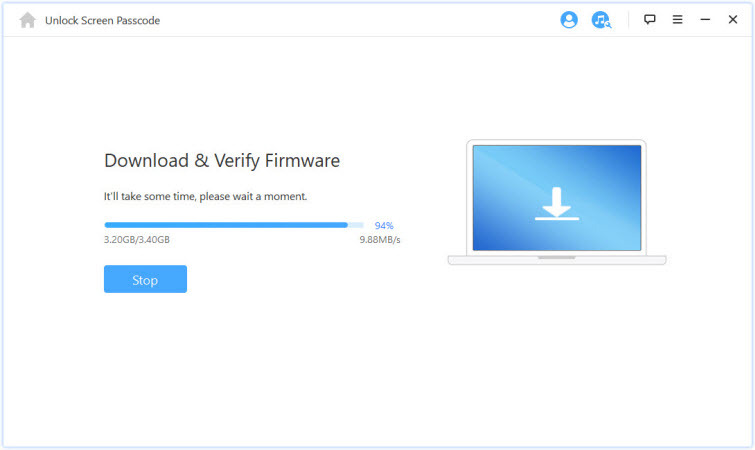 Step 4:Wait for a second to download and verify the firmare. Step 5: Click on Start to Extract for the unlocking process to begin. Step 6: A pop-up window will appear and you will be required to enter a code. Please enter 000000 as the verification code and click Unlock to start. The unlocking process will commence and in a few minutes the lock will be removed. But note that, the contents will be deleted from your device as well. There is no way to get your iPhone out of disabled screen without restoring. You can also use iCloud to remove the lock on your iPad screen. If you have enabled Find My iPad, you can use iCloud to fix this problem. It is a good idea that you back up your device before proceeding with this method. The Find My iPad feature on your iPhone can help you reset your iPad remotely. Sign in to your iCloud account by going to www.iCloud.com. Click on All Devices and find your disabled iPhone or iPad from the list. Click on the Erase iPad/iPhone. Confirm it by clicking Erase. You need to know the Apple ID and password. You must enable Find My iPad feature on your device and if it is not activated, you will not be able to use this method. Your iPhone or iPad should be connected network, or this way can’t work. Connect your iPhone or iPad to your computer you synced with. Open iTunes. If it asks for a password, try another computer you’ve synced with, or use the LockWiper method. When it’s doen, hit the Restore iPad/iPhone... button and confirm the pop-up message that will appear on your screen. This will restore your device and once the process is complete, set up your device as new and restore the backups from iTunes. Disadvantages: The computer your device connects should be the one you synced with before because it will save the password automatically. iPad/iPhone disabled after iOS 12 update can be frustrating because you don’t get the chance to enter the password. However, with the help of iMyFone LockWiper tool, you can easily remove the lock and gain access to your iPad and start using it as you are used to. 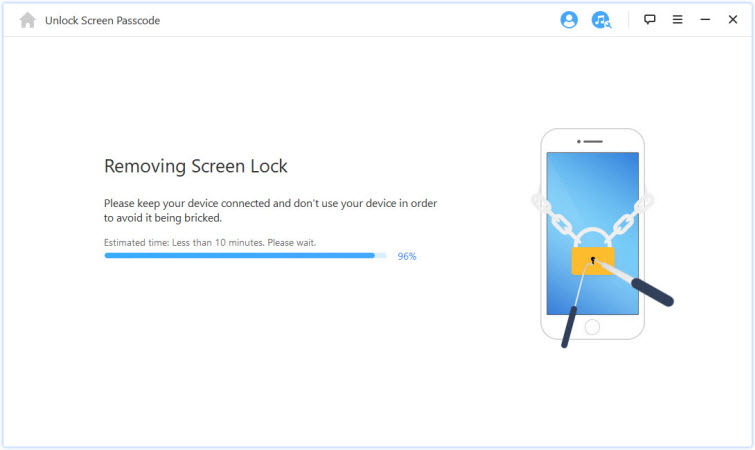 It is easy to use, it is convenient, removes any screen lock on iPhones in a few minutes and above all, it supports locked, broken screen and disabled iPad screens. You do not need a professional to remove the screen lock on your device anymore if you have this tool.